Anilox Roller is used in flexo printing unit, thus provides better quality than letter press and gravure printing. Printing can be done on very thin, flexible and solid films by utilizing the cell geometry surface on the Anilox Roller. Flexo has stabilizing effects on the printing process resulting from even filling of the cells on the Anilox Roller, which also make it possible to accomplish no color difference even in large run jobs. Using the flexible printing plate and the appropriate ink, the low viscosity ink can be transferred to the printing plate quickly. The flexographic printing is suited to larger production runs. Key benefits are high quality printing using a number of substrates and inks for all types of product labeling, high speed printing for larger print runs. We offer the best quality with eight - color Flexo printing machine. In any event, printing 4 color In front side plus 4 color in back side or 6 plus 2 color combination are really flexible and easy. 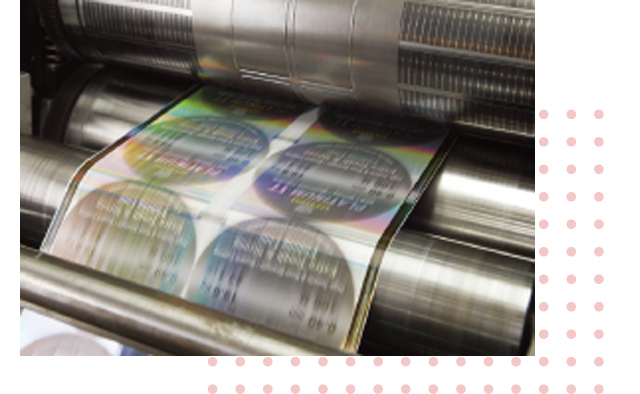 Depending on your requirements, we offer the printing process with in line decoration options, such as die cut, cold foil, lamination, and coating to accomplish consistency and to enhance added value to the products. Flexo offers all in one and very high quality printing.